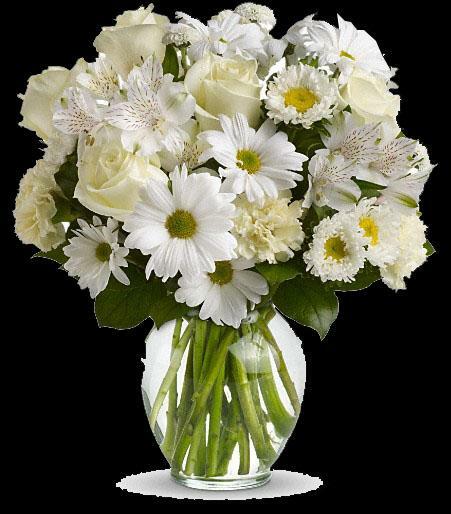 For a gift of pure joy, send snowy white flowers in a classic clear glass ginger vase. This lovely bouquet is perfect for just about any occasion, from birthday and anniversary to get well and new baby. They’ll adore it.